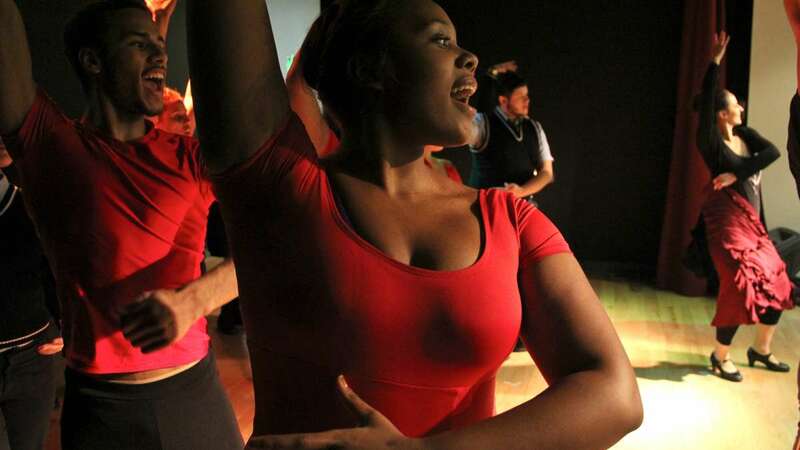 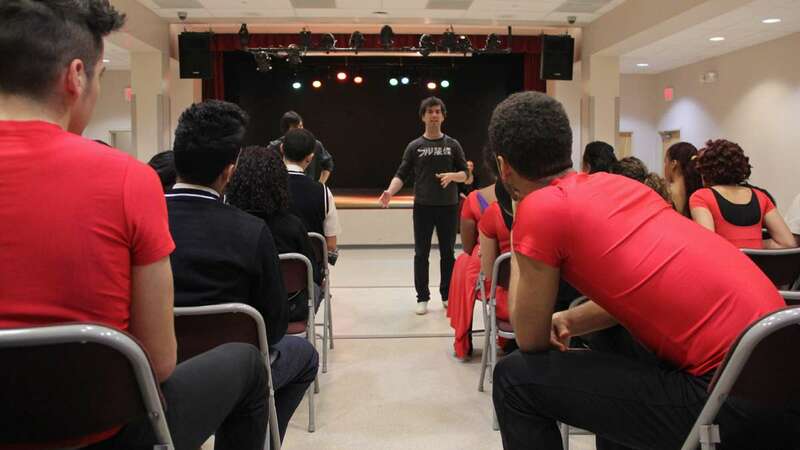 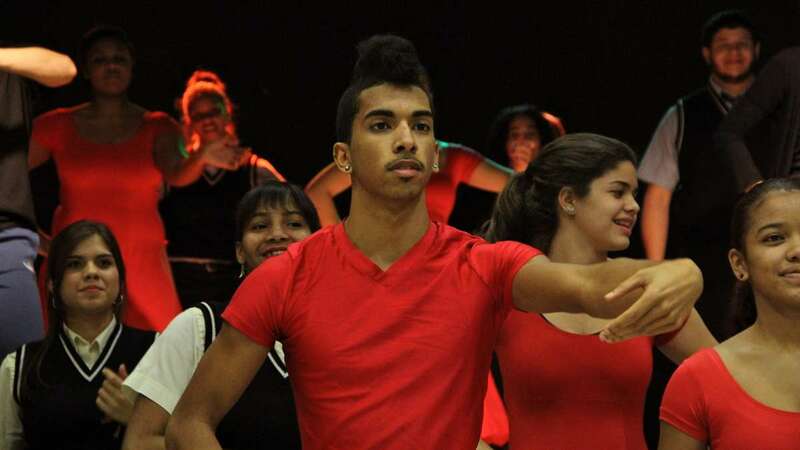 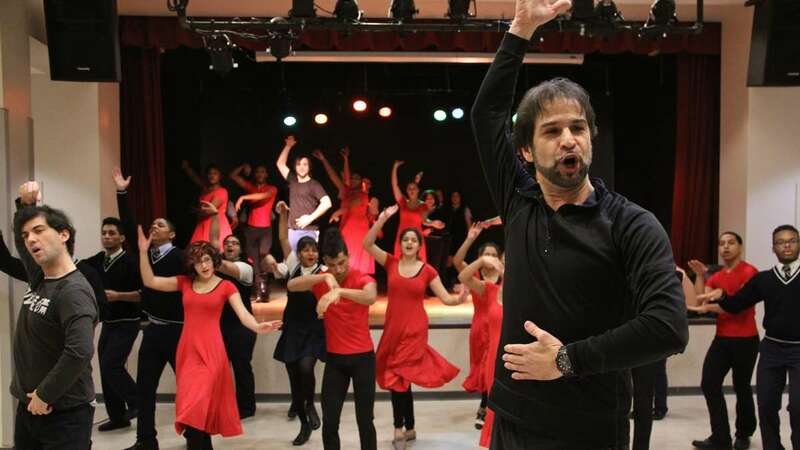 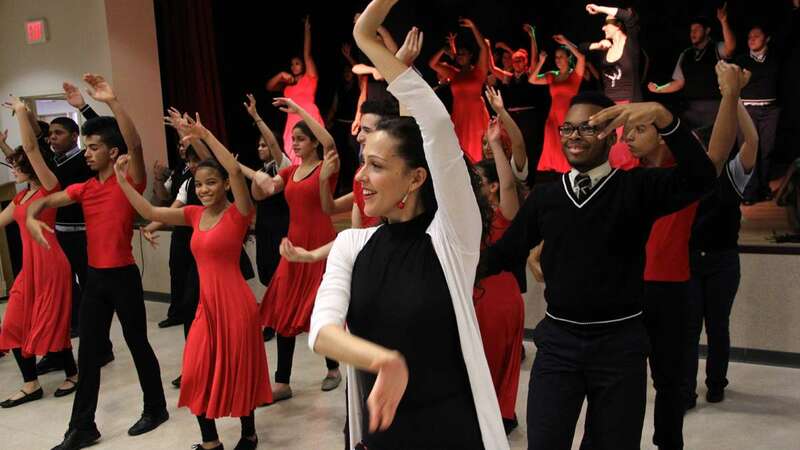 Performing arts students at Nueva Esperanza Academy in North Philadelphia were treated to lessons from some of the worlds greatest flamenco dancers thanks to Opera Philadelphia and the Antonio Gades Company. 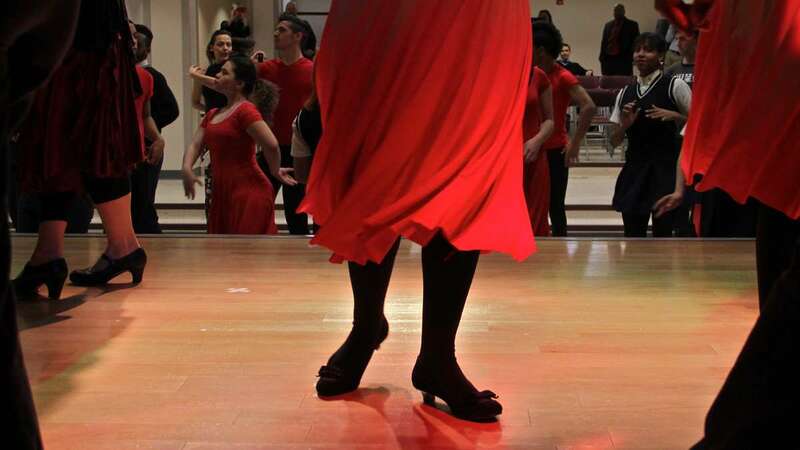 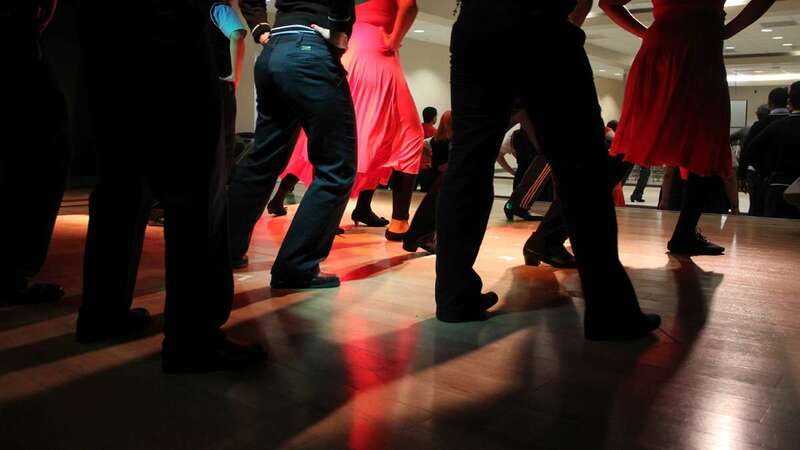 About 40 students crowded a small auditorium for the lesson, conducted partly in Spanish and partly in English, but all of it in what choreographer Antonio Hidalgo called “the language of flamenco.” That language consists of the stylized gestures, rhythms, and postures of this difficult dance form. 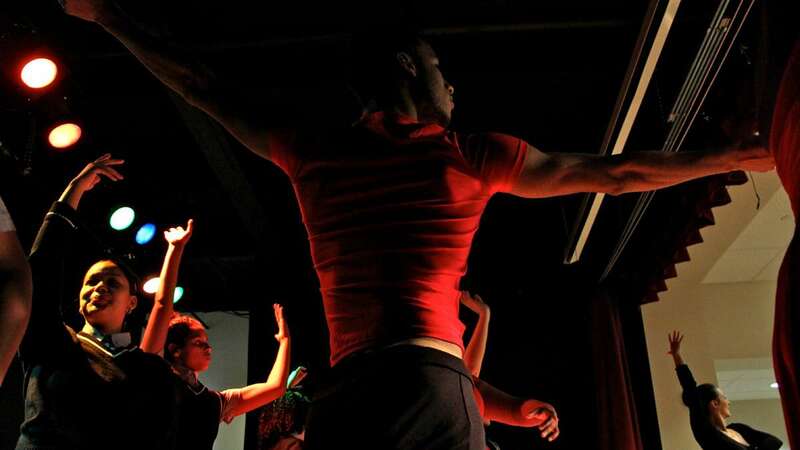 There was no music save the stomping, snapping, and clapping of the dancers.